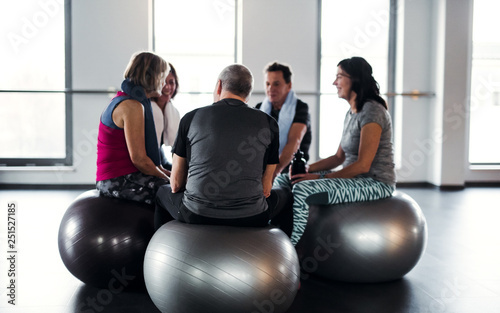 Leinwandbild Motiv - Halfpoint : A group of seniors in gym resting after doing exercise on fit balls, talking. Titel A group of seniors in gym resting after doing exercise on fit balls, talking. 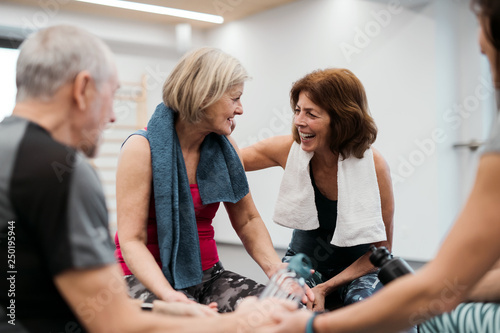 A group of seniors in gym resting after doing exercise on fit balls, talking. 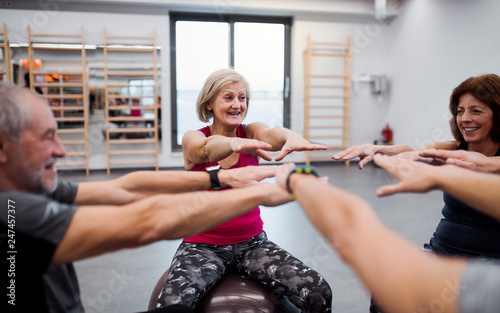 A group of seniors in gym resting after doing exercise on fit balls, holding hands. 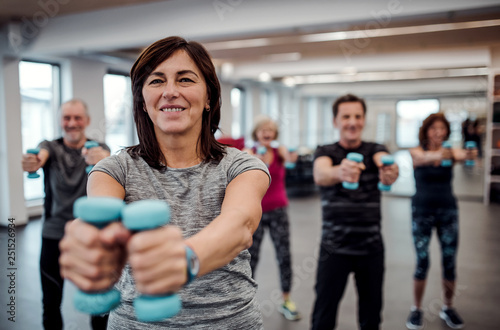 A group of cheerful seniors in gym doing exercise on fit balls. 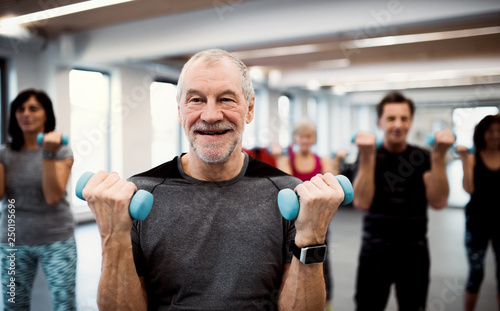 Group of cheerful seniors in gym doing exercise with dumbbells.